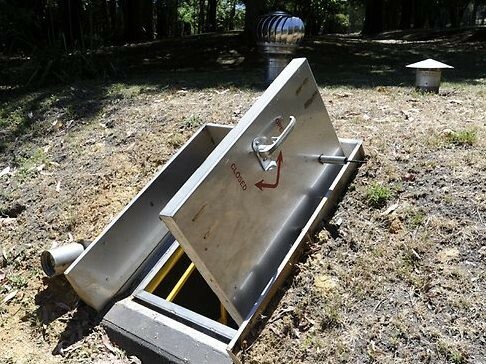 The Victorian Building Authority (VBA) has advised residents of bushfire prone areas in Victoria to ensure compliance when installing a private bushfire shelter on their property. VBA Director of Technical and Regulation Jarrod Edwards explained that people in bushfire prone areas who wanted a ‘refuge of last resort’ on their property needed to ensure the shelter not only complied with the performance requirements of the National Construction Code (NCC) but also had a building permit. According to Edwards, bushfire shelters that are not accredited must be thoroughly assessed for compliance with the NCC as part of obtaining a building permit. To get a building permit for a private bushfire shelter under regulations introduced after the Black Saturday fires in February 2009, one must buy a shelter accredited by the Victorian Building Regulations Advisory Committee (BRAC) as meeting the NCC performance requirements; or obtain a certificate from a fire safety engineer who did not design the shelter, to satisfy a building surveyor that the non-accredited bushfire shelter meets the requirements of the regulations; or apply to the Building Appeals Board for a determination that a shelter complies with the regulations. Only three private bushfire shelters have been accredited by BRAC as meeting the NCC performance requirements and gained accreditation, they being two products from Wildfire Safety Bunkers and the FCP Sanctuary Bushfire Shelter by Frankston Concrete Products.The VBA website has a list of accredited shelters, along with other products that have been accredited for use in building.